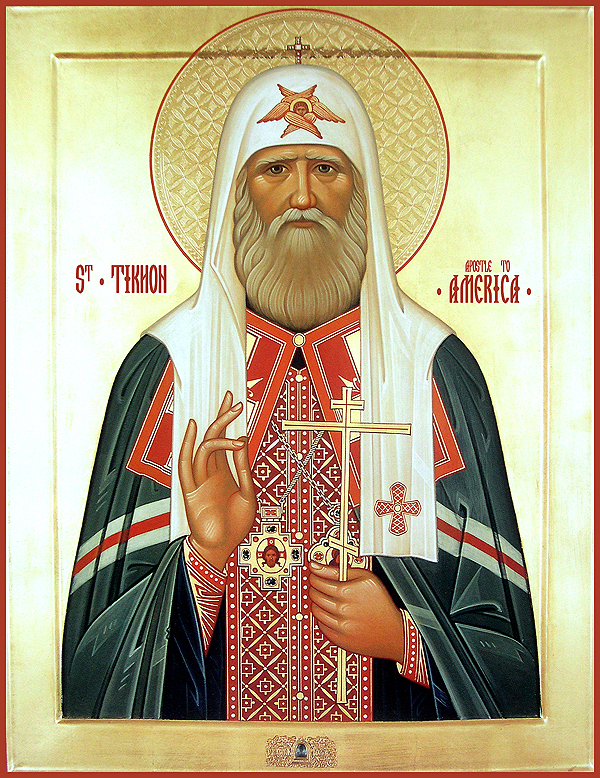 The American Orthodox Church was blessed to have as its bishop for 9 years, the relatively recently glorified ST. TIKHON, PATRIARCH OF MOSCOW (1865-1925). Throughout his life he was known for his simplicity, humility, kindness, uncompromising devotion to Truth, and a boundless love for the Church and Her people. In 1898 the young Bishop Tikhon, named for St. Tikhon of Zadonsk, arrived in America as the bishop of the one, united Orthodox Diocese. He did much for the Church in America. 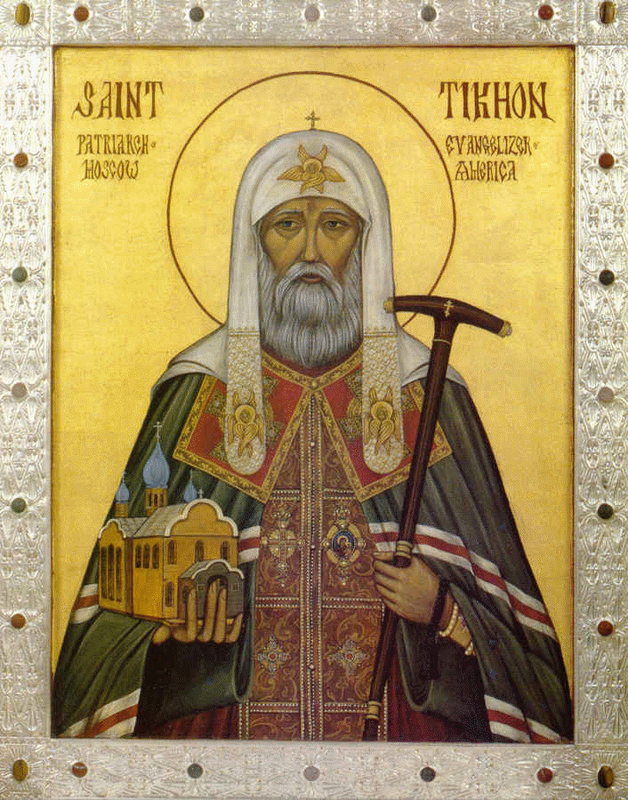 He established a seminary in Minneapolis, a monastery in South Canaan, Pennsylvania, dedicated to St. Tikhon, and the St. Nicholas Cathedral in New York City. He consecrated 2 auxiliary bishops to serve Alaska and non-Slavic immigrants. With true spiritual vision, he stressed the unique missionary nature of the American diocese, its need for multi-ethnic unity and its destiny to be self-governing. 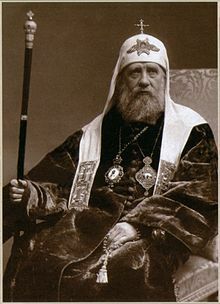 After being recalled to Russia, he was elected Metropolitan of Moscow in 1917, and, in the middle of the Communist Revolution, presided at the 1917-18 Council that re-established the Patriarchate of the Russian Orthodox Church. He was chosen by lot to become the first Patriarch in 200 years. Under the Soviet regime, he defended the Church and its people and refused to compromise the Faith, for which he was tortured and imprisoned. Even while in prison, his peacefulness, patience, humility, compassion, strength and faith during great suffering were an example and inspiration to his people, then and now. He was buried at the Donskoi Men's Monastery, and now his relics have been placed in a beautiful reliquary and transferred to the main Cathedral of the monastery, up front, on the left, by the solea.